Guy's drive, dedication, and determination energize the entire team at Willow Tree Farm. Guy's extensive experience includes competing at the 2004 Olympics, FEI World Cup Finals, World Equestrian Games, Young Rider Finals, international competitions, as well as a multitude of Grand Prix. Guy Thomas grew up in a riding family. His parents, Graeme "Butch" and Lu Thomas, are highly successful riders and trainers, both having competed in the FEI World Cup Finals. The philosophy that Guy employs for coaching juniors and amateurs alike is helping and encouraging, rather than dictating and demanding. This methodology has proven to be quite successful as measured by results. Guy Thomas is well known on the West Coast horse show circuit for the total effort he gives every time he rides a horse or coaches a student. Guy's natural ability, deep understanding of a horse's mechanics and mind, and his competitive nature are demonstrated by his successful career as a professional. He is always willing to assist fellow riders and trainers. His record of success and the record of successes of those he has coached speak for themselves. 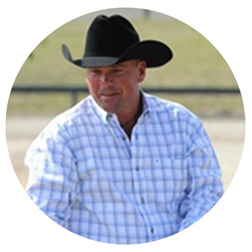 Butch is not only a renowned rider, coach, and horse trainer; he is an expert at pairing riders with horses. Butch's keen ability is well known, and it has produced a long line of highly successful pairings year-after-year and decade-after-decade. 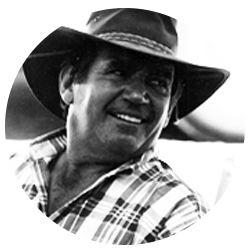 Furthermore, his expertise at "matchmaking" has assisted many amateur riders to record-breaking legacies, and launched the careers of countless numbers of professionals. Born and raised in New Zealand, Butch had a successful riding career before he moved to the United States, including numerous Grand Prix victories in New Zealand and Australia, in addition to stints on the New Zealand Olympic Equestrian Team. Butch is the patriarch of Willow Tree. He provides a steady hand to the operation, functions as a cool and confident leader, and is a mentor to the riders and staff. His ringside presence instills confidence into the riders he coaches. He provides critical leadership abilities during the most prestigious and high pressure events – he's never intimidated and always able to provide crucial guidance and strategic advice. His highly regarded leadership qualities are exemplified by the fact that he was chosen to be the Chef d'Equipe of the Zone 10 FEI North American Junior and Young Rider Championships team five times. Under his stewardship, his teams won team gold medals four times, plus numerous additional individual medals, including gold. 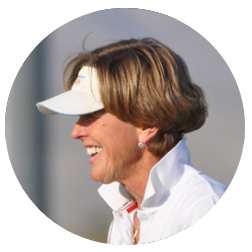 Record breaking leadership skills and an unmatched ability to create and develop rider-horse teams are just two of the many reasons that Butch is one of the most highly respected professionals in the equine industry. 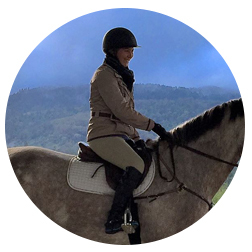 Lu is an expert at refining and perfecting the partnership between horse and rider. She is known as, and epitomizes the quintessential hunter rider. The fact is, however, she is very accomplished in both the hunter and jumper rings. Not only has she won the top hunter classes at the most prestigious shows around the country, but Lu was also the American Grand Prix Association Rookie of the Year, and rode in the FEI World Cup Jumper Finals in Switzerland. Now retired from the show ring, Lu utilizes her skills to help the riders at Willow Tree to form winning partnerships with their horses by concentrating on the rider's part of the equation. She excels at teaching riders two key elements critical to their success – the mechanics of riding, and the typically overlooked, but absolutely essential component of rider confidence. The rider and horse need to form a symbiotic relationship in order to create a winning partnership. The rider must not only employ the optimum level of technical riding skills, but also instill the confidence required for the partnership to succeed. Coaching by Lu provides a major component of Willow Tree's ability to create champions by allowing riders to learn a high level of technical skills, and to develop the critical component of confidence that any successful partnership requires. Leslie is a third generation horsewoman, her grandparents on both sides were involved in the horse business, and both of her parents were hunter/jumper trainers. She credits her primary rider training to her mother, Carol Wright, a successful Grand Prix rider and FEI World Cup Jumping Qualifier winner. As a junior rider, Leslie won innumerable classes in the hunter and equitation divisions and accomplished many top medal class results. She has worked as a professional for several years, first at Melodic Farms, which was owned by Carol Wright, and since January of 2014 at Willow Tree Farms. During her professional career, she has continued to ride and compete, and has competed in all of the jumper divisions including Grand Prix. During the past three years, she has ridden the gamut of horses ranging from young, green horses to Grand Prix prospects and Grand Prix competition horses. Her experience has also included three years of teaching plus coaching at shows. She has worked at both of Willow Tree's facilities.